Any person hearing about the crowning of Rama , if he needs son he will get son , if he needs wealth he will get wealth , the king would win over earth and would become a master over his enemies. Like Kausalya having Rama, Sumithra having Lakshmana , Kaikeyi having Bharata , women would become mothers to long living sons and they would be always happy and live with sons and grandsons. By listening to this auspicious work of literary merit one gets increase in family prosperity , increase in wealth, grains , superior women , great happiness and acquisition of wealth in this earth. Another version of Ramayana called Ananda Ramayana is also credited to be written by sage Valmiki. Unlike the usual names of books it has a different names to the books of the narrative. Here also Rama is considered as God and there are several prayers addressed to him. I do not know when the translation of this very great epic was started. In almost all the Indian languages there is a translation available. One reason possibly is that people already assumed that Rama was an incarnation of Lord Vishnu and he lived the life of an ideal man(Maryadha Purushothama.). Here is a partial list of all those great translations. 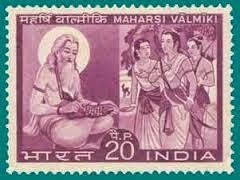 Most of the translations did not agree with Valmiki , that Rama was a human being. They also could not tolerate a Rakshasa carrying away Sita, physically touching her , as she was a goddess. Tamil Nadu - The Tamil Kambaramayanam, a popular version, written by poet Kamban in the 12th century. Karnataka - The Kannada versions of the Ramayana – the Kumudendu Ramayana(a Jain version), written in 13th century and the Kumara-Valmiki Torave Ramayana, written in the 16th century. There is another version titled Ramachandra Charita Purana written by Nagachandra during the 13th century. Two prose works by Nanadalike Lakshminarayana ('Muddanna') entitled Adbhuta Ramayana (1895) and Ramaswamedham (1898). Assam - Saptakanda Ramayana, The Assamese Katha Ramayana or Kotha Ramayana in 14th century by Madhava Kandali. Bengal - The Bengali Krittivasi Ramayan written by Krittibas Ojha in 15th century. Orissa - The Oriya Dandi Ramayana or Jagamohan Ramayana was adapted by Balaram Das in the 16th century. Maharashtra - The Marathi Bhavartha Ramayana written by Eknath in the 16th century. There is also reference of a Ramayana being translated into old Marathi during the 12th or 13th century. Goa - Ramayanu written by Krishnadasa Shama in 15th century in Kardalipura, Goa in Konkani, manuscripts found in Portugal. Awadh - The Ramcharitmanas written by Goswami Tulsidas in the 16th century is the Ramayana version popular in North India. Kerala - The Malayalam language Adhyatma Ramayanam Kilipattu written by Thunchaththu Ezhuthachan in the 16th century and "Mappila Ramayanam." among the Muslims. There is also a Kannassa Ramayanam which is much earlier to these. Gujarat - The Tulsi-Krta Ramayana is a Gujarati adaptation of Tulsidas' Ramcharitamanas in 17th century, by the poet Premanand Swami. Urdu version called the Pothi Ramayana was written in 17th century. Jammu and Kashmir - The Kashmiri Ramavatara Charita was written in 19th century. Andhra Pradesh - The Sri Ranganatha Ramayanamu was adapted by Buddha Reddy and is the Telugu version of the Ramayana. The Molla Ramayanamu was adapted by poetess Molla. Nepal - The Nepali language Bhanubhakta Ramayana written by Bhanubhakta Acharya in the 19th century. The Nepal Bhasa Siddhi Ramayana was written by Siddhidas Mahaju in the 20th century. The next well known prayer containing the Ramayana is the very famous Nama Ramayana. My deep sense of gratitude to all those great people who have done this labour of love . I acknowledge all of them.I might have used some words and also some whole sentances from these great works. My translation totally depends only on their translations. Great effort and contribution. My humble namaskarams to you sir. Could you possibly speak to various Ramayanas in South East Asian countries and far east? Ravana and sita are related differently in these countries. Also, there are many stories regarding life after pattabhishekam. Any historical references would also be great. I grew up with Rajaji's translation in Tamil. Look forward to reading yours. Thanks and once again, let me touch your feet and offer my respect.